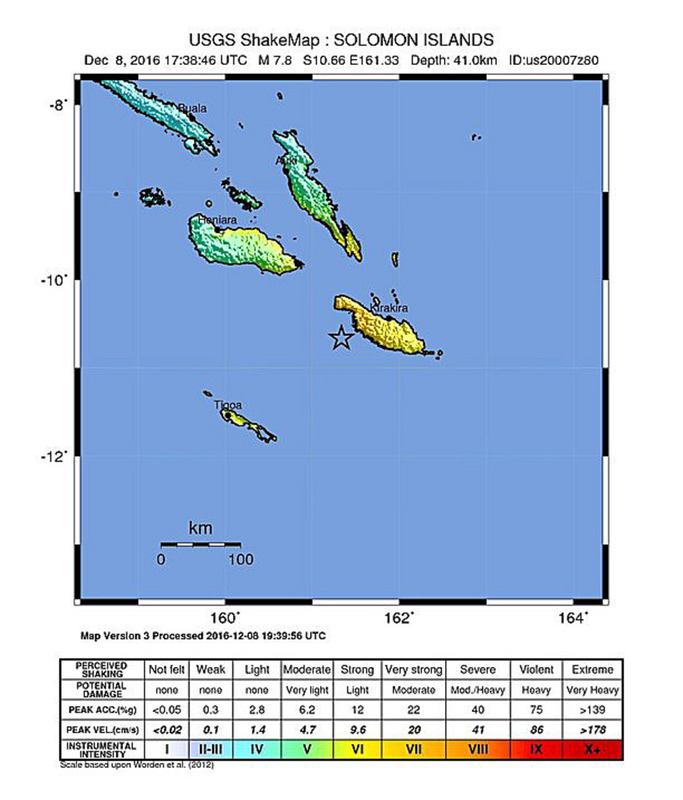 As a magnitude 7.8 earthquake struck off the coast of Kirakira in the Solomon Islands early today, triggering a tsunami warning across the Pacific, many residents of the country would have turned to shortwave radio for more information. The tsunami warning has since been called off, though assessments of damage from the quake are not yet complete. Sadly, this vital communication service is under threat in this already under-resourced region. For almost 80 years, Australia has provided such shortwave services, including vital emergency service information, to Asia and the Pacific. But government funding cuts saw Asian services turned off in January 2015. And now the Australian Broadcasting Corporation (ABC) has decided to cut the remaining services to residents of remote parts of the Pacific, Papua New Guinea and parts of northern Australia by ceasing its shortwave radio services to the Pacific from the end of January 2017. While shortwave technology has served audiences well for many decades, it is now nearly a century old and serves a very limited audience. The ABC is seeking efficiencies and will instead service this audience through modern technology. The problem is, of course, that in remote places in the Pacific, particularly in Melanesian nations such as Papua New Guinea, Vanuatu and the Solomon Islands, there is no access to an FM signal, limited internet and, where internet is available, it is expensive. Advances in technology such as low-earth orbit satellites, which provide high speed global internet services, show promise. But, as yet, the receiving technology is expensive and the receivers aren’t available in rural and remote area. The ABC has said it will replace international shortwave services with digital services including a web stream, in-country FM transmitters, an Australia Plus expats app and partner websites and apps such as TuneIn radio and vTurner. There was no mention of the use of updates to shortwave technologies, such as Digital Radio Mondiale, which is being used by Radio New Zealand, or using shortwave for digital data transmission, which cannot be censored or jammed. The move away from shortwave to FM transmissions and digital and mobile services has been accelerated despite the fact that FM frequencies can easily be shut down by disaffected political leaders, as happened in Fiji in 2009 on the order of then self-appointed – but since elected in 2014 – Prime Minister Voreqe Bainimarama. It was a matter of national pride at the time for the ABC to be providing independent information for Fijians via shortwave, with then managing director of the corporation, Mark Scott, highlighting a text message sent from inside Fiji to the ABC, which read: “We are trying to listen to you online but are having difficulty. Please keep broadcasting. You are all we have”. Shortwave radio has played a valuable role in getting information to communities in the middle of civil disturbance, such as in East Timor in the lead up to independence. In Burma, it was internal leaders who sought the shortwave services. In 2009, Burmese pro-democracy leader Aung San Suu Kyi called on Australia to provide shortwave broadcasts. At the time the ABC’s director of international, Murray Green, said the move reflected the ABC’s ongoing commitment to serving people in those parts of Asia and the Pacific who live without press freedom. Even before this announcement was made, the price of shortwave radios was increased in Burma’s Sittwe market. It isn’t just a matter of providing information to censored countries. Shortwave also provides a reliable source of information, particularly during natural disasters. Shortwave provides vital warnings of tsunamis to outlying island nations. It was a lasting communication method after the 2004 Boxing Day tsunami, and was vital in the response to 2015’s Cyclone Pam, which devastated Vanuatu. Shortwave transmissions go over mountains and seas, have a longer range, and don’t fall over and twist in storms like FM radio towers. We expected the worst. Death, injury, hunger. But when we arrived, the Dillons Bay village chief … told me they knew the cyclone was approaching, so they sheltered in the two solid buildings in the village. Most houses were flattened but not a single injury. I asked him how he knew the cyclone was approaching. He said, ‘ABC Radio’. The cuts to the shortwave services at the ABC are just the latest in a long line of budget savings to its international services. While other cuts to the broadcaster garnered many headlines, the ABC has cut the shortwave, and also quietly closed its Vietnamese, Khmer and Burmese language services on 2 December 2016. The French-language service to the French Pacific is due to end in February 2017. Thankfully for Pacific nations, while Australia is dialling back its shortwave services, New Zealand’s RNZ International is maintaining Pacific-wide shortwave transmission. The British Broadcasting Corporation (BBC) has also announced a major boost to its international broadcasts, including producing shortwave radio programmes for North Korea. The BBC is fearful of the rise of state-backed broadcasters such as China’s CCTV, Qatar’s Al Jazeera, and Russia’s RT. The Pacific appears to be a specific concern for China, with Australia’s Lowy Institute tracking the extent of China’s aid programme in the Pacific at more than 200 projects worth $US1.4 billion since 2006 and the state-owned Xinhua News Agency actively covering the Asia Pacific. In light of this, the BBC clearly recognises a need to boost its international broadcasting, using shortwave to beat censors in autocratic regimes. It is a great shame for the Pacific that Australia no longer agrees. Dr Alexandra Wake, a senior lecturer in journalism at RMIT, is an academic who maintains a career as a freelance journalist. Her last assignment for ABC Radio Australia was more than two years ago. This article was first published by The Conversation today and is republished under a Creative Commons licence.